Doug Klinger, Andrea Allen, and Chris Black break down IMVDb's top music videos of 2017. 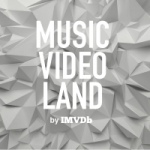 Welcome to IMVDb, an online collaborative music video database. is in our database of artists, people, and companies, but we currently do not have any music video credits for yet. If you have some music videos or other credits to add for , you can add them to an existing video or add a new video for . Do you represent Daniel Hoppe? Apply to manage this page here. Don't have an IMVDb account?